सूरज के पुत्र प्रभु चाय महतारी. कृत मुकुट शीश राजित दिपत है लिलारी. मुक्तन की माला गले शोभित बलिहारी . मोदक मिष्टान पैन चढ़त है सुपारी. लोहा टिल तेल उड़द महिषी अति प्यारी. विश्वनाथ धरत ध्यान शरण है तुम्हारी . जय जय श्री शनिदेव भक्तन हितकारी. 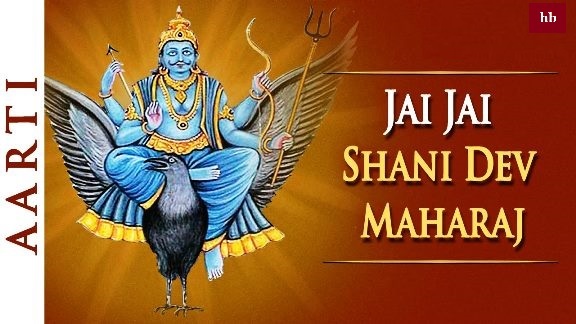 Shani Dev is considered the most dangerous planet in all planets. If a person lives a good age, then he has to go through the state of Saturn three times in life. For the first time, he plays with the man, the second time he brings the earthquake and destroys his entire wealth for the third time. That is why all Shani Dev Aarti attempts to keep calm. Anybody can fast on Saturday and if it is done by Shravan month on Saturdays then it is best. To do this fast, you have to take care of some special things that you can do with the help of an experienced person.